NIKKO STIRING - Website of Outdoor Sports New Zealand! Today the Nikko Stirling range is a result of the evolution of solving the challenges faced by hunters throughout the world. A heritage of hunting separates Nikko Stirling from its competitors. Nikko Stirling does not produce spectacles, jewelry, cameras or microscopes. 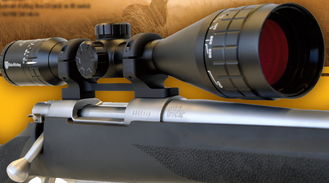 This Brand specialises in Optics for hunting. Their philosophy is to provide hunters or target shooters with optics they need to be successful in their sport. To find out more about Nikko Stirling, make sure you check out their website.